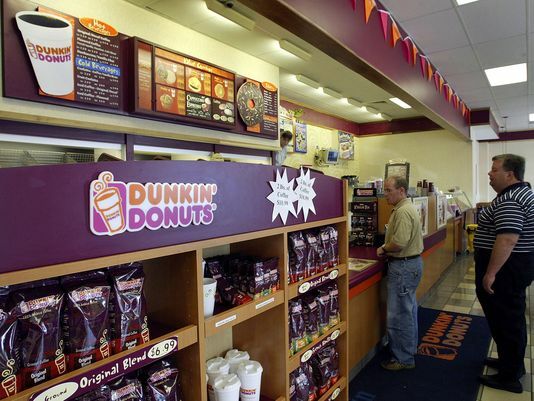 This Dunkin Donut Network for sale in one of the most populated areas in Ohio. Two locations are Free Standing Buildings with Drive Thru, and the third is in a gas station. The stores are currently run Semi Absentee, and a more hands on owner will be able to increase sales as well as reduce payroll and other expenses. This is an easy store to operate and manage as they are part of a central manufacturing location (CML) and therefore they do not have any of the hassles associated with baking any of the donuts. In addition none of the stores are open 24 hours. Stores are located within short driving distance from each other which makes it easy to manage. It all started with a single donut restaurant in Quincy, Massachusetts, 60 years ago. 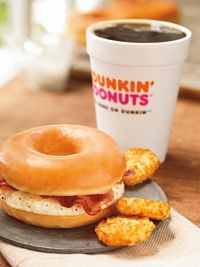 Today, Dunkin' Donuts® includes more than 7,000 restaurants across the country. While we are named for our donuts, it's our Dunkin' Donuts coffee that's fueled the phenomenon. Rich and smooth, our legendary coffee is made from only premium beans. We're a market leader in sales of hot, decaffeinated and flavored coffee, iced coffee, bagels, donuts and muffins. With almost 120 years of franchising experience, Dunkin’ Donuts deliver high quality food and beverages quickly, affordably and conveniently in a welcoming environment. 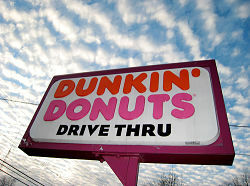 Dunkin’ Donuts stores can be found in over 32 countries, and they serve 70 varieties of doughnuts, along with hot and cold coffee drinks, bagels, breakfast sandwiches and other baked goods. Seven days a week, 365 days a year, we're serving the majority of U.S. workers at least one cup of the coffee they’ve come to depend on. We’re also constantly innovating how we serve them, with new types of coffee creations and flavors, limited time offers, and other products we know our guests will love. To find out more about these Dunkin Donuts locations please fill out the form below and submit.